1. 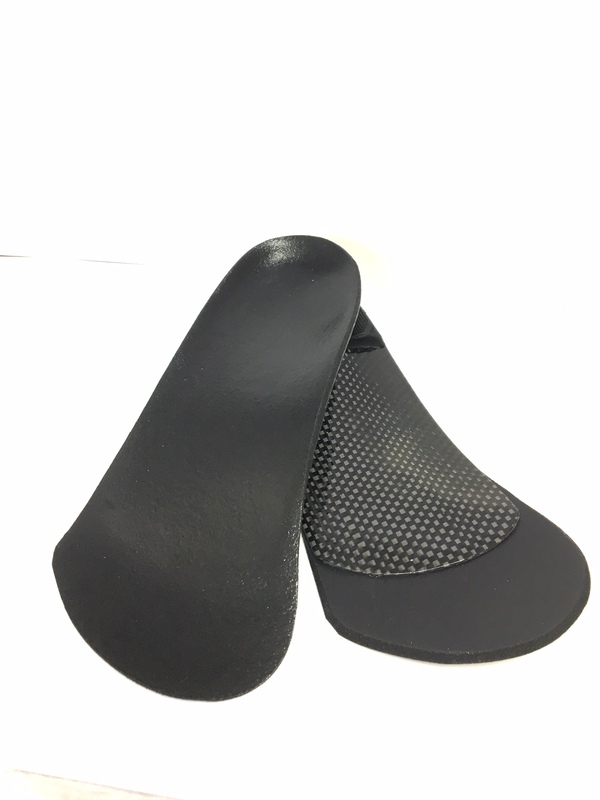 Custom foot orthotics (CFO’s) are shaped exactly like your feet. No two feet are alike. Even your left foot is different than your right. Shouldn’t your shoe inserts have the same shape as YOUR feet? 2. CFO’s are made from a NEUTRAL POSITION mold of your foot. This is very important for the devices to properly support your feet during walking and exercise. Orthotics made from standing or walking on a computer plate or standing in a foam box do not capture the exact shape of your foot in neutral position. Only a qualified medical professional can do this. 4. CFO’s can be shoe-specific. Part of being custom is that CFO’s can be fabricated to fit any type of footwear. They can also be modified so that the shoe, the orthotic and your foot function together as a unit. Over-the-counter shoe inserts usually only come in one shape and rarely fit into dress shoes. 5. CFO’s can be activity-specific. Another part of being “custom” is that CFO’s can be designed for any activity. Whether you’re a runner, walker, skier, basketball player, golfer, or even a grocery clerk – your orthotics should be made to serve your most frequent activities. 6. CFO’s are what your feet deserve. The best! You only get one pair of feet and they have to last your entire life. Having sore feet at the end of the day is often the result of improper footwear. Also, many foot problems that develop later in life are the result of many years of not having the proper support. Not everyone needs custom foot orthotics, but if you suffer from foot injuries, sore legs, and feet, or if foot problems run in your family, then you should consider visiting a podiatrist for a pair of properly fabricated custom foot orthotics. Sol Foot & Ankle Centers, podiatry offices in Long Beach, CA are experienced with all types of custom foot orthotics. Schedule your consultation by calling 562-433-0478. Why Do I Have Pain on the Bottom of my Heel? Hi Michael, we would be happy to schedule you an appointment for custom foot orthotics. Please call our podiatry office at 562-433-0478 so we may further assist you. Thanks! Hi, can I get an appointment for Friday the 28th for custom running shoe orthodics?